In small spaces, every square inch counts, and keeping everything neat and organized gets a lot trickier when you own a collection of jewelry and other accessories. Where do you put them all so you can still sort through them, and they don’t end up a tangled mess? 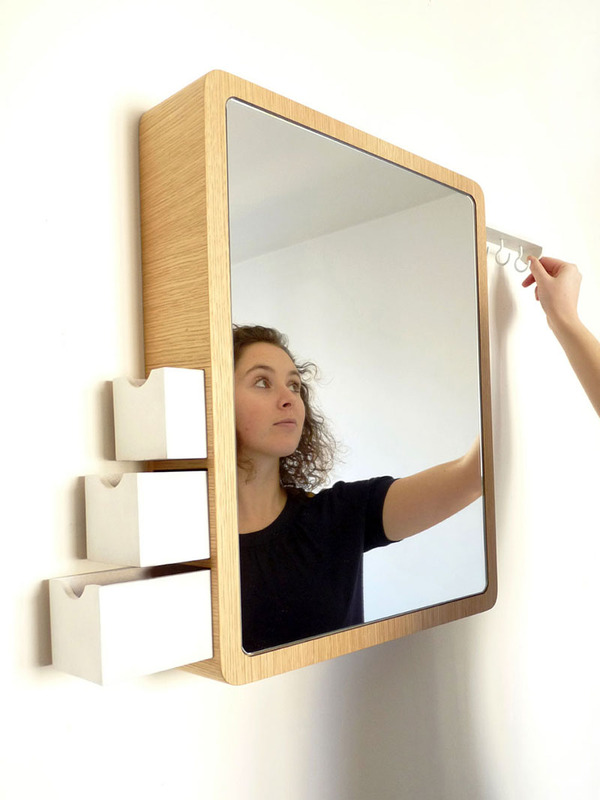 This clever storage mirror design takes the concept of a medicine cabinet and applies it to a whole different purpose. Not that you have to replace your medicine cabinet and then find a spot for all the things within. Just use the “Precious” mirror like a vanity in a bedroom, hallway or closet. 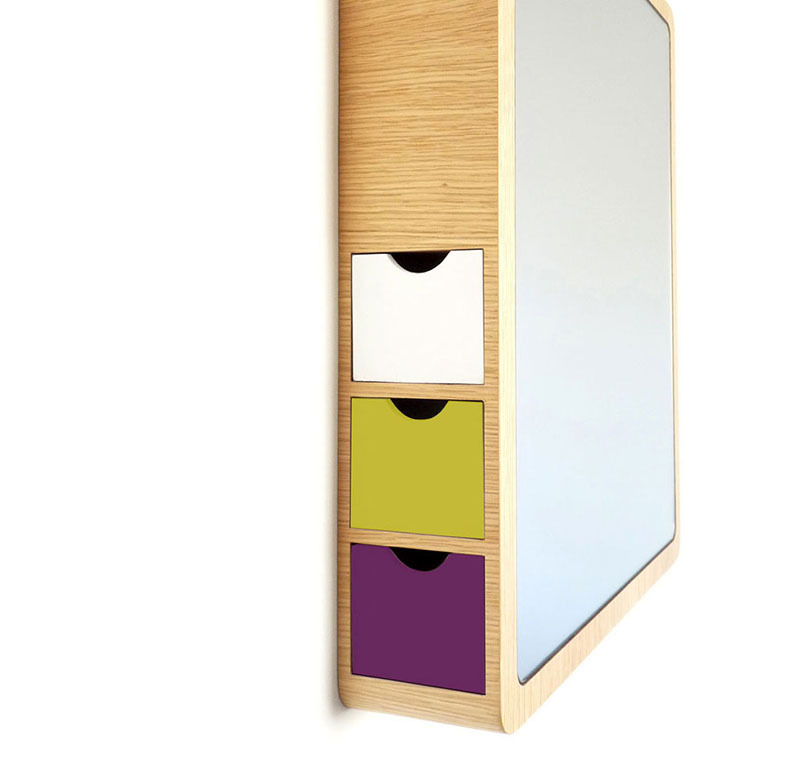 It serves multiple purposes in one, offering a built-in jewelry box. A series of tiny drawers slide out from one side, giving you the perfect place for rings, bracelets, watches and other small objects. 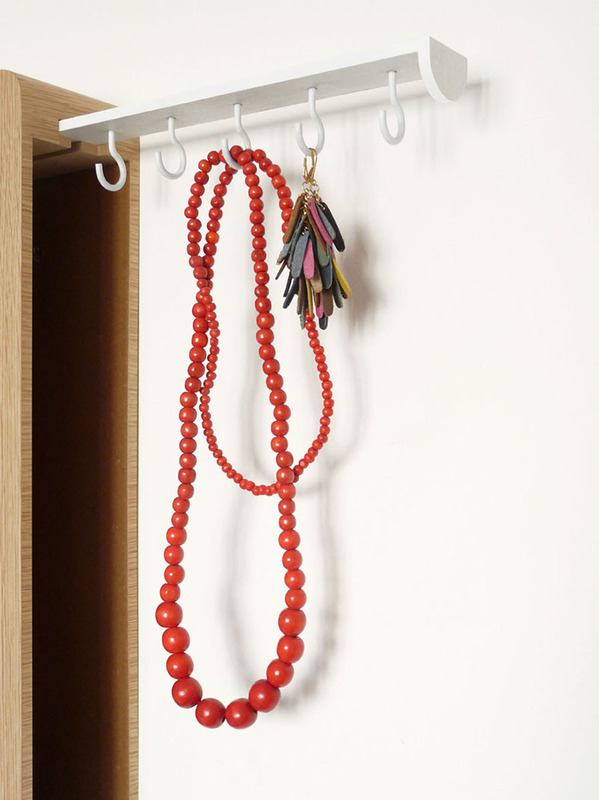 On the other side, suspend your favorite necklaces from a hidden rack. Intentionally indirect, though not exactly secret, these storage spaces become accessible only with greater intention than simply opening the front door of an average medicine cabinet mirror. Mirrors with built-in jewelry storage can sometimes be found on Amazon and at big box stores, but they’re rarely this good looking. 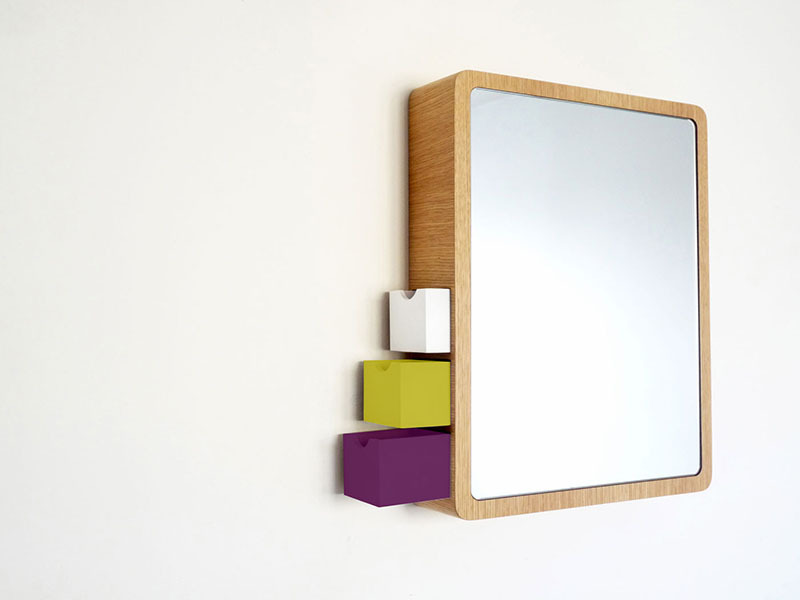 The “Precious” storage mirror fits right in with modern decor thanks to a clean, streamlined look and the use of solid wood as a primary material. Does it put your current jewelry organization system to shame or what?